He will lead a group of Orange Order members to stage a protest, marking the 20th anniversary of the Drumcree dispute in Portadown. 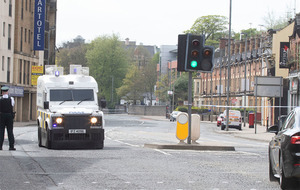 It was in 1998 that the district lodge was last allowed to complete its parade to the town centre via the nationalist Garvaghy Road - a stand-off which sent Northern Ireland into annual paroxysms. Thousands of families would go on their holidays early to avoid Drumcree week, which would often feed into a tense Twelfth of July period. 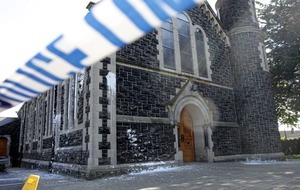 For three years from 1995 the march was forced down the road, resulting in heavy clashes, before a major security ring of steel was thrown around the hill on which the church is perched, hemming in Orange marchers, their families and supporters. 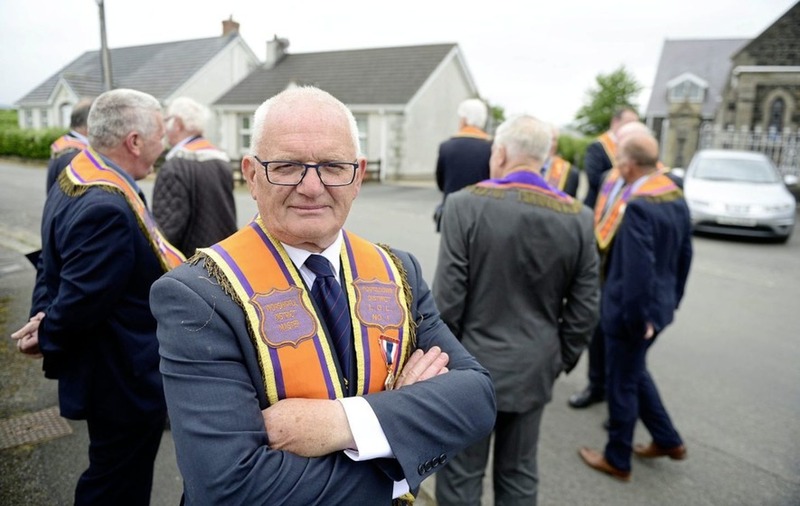 Since those days the lodge has walked from the Church of Ireland church every single Sunday - "rain, sleet, snow and shine," Hewitt says - well over 1,000 protests, and counting. For Mr Hewitt, who has been district master for more than 12 years following the death of Harold Gracey, believes the determination to resolve the homeward parade remains as solid as ever. Between 300 to 400 Orange Order members are expected to turn out for the 20th anniversary demonstration tomorrow, but most weeks the numbers are around 25 and not always the same individuals. Even Mr Hewitt has taken Sundays off for holidays and an illness last year. But he is re-elected every year. The 58-year-old, who just retired from teaching after almost 40 years, said: "We still believe that what we are standing up for is right." But be blames "a lack of political will" for Drumcree being put on the back-burner. While they held talks with the last Secretary of State, James Brokenshire, he hasn't yet met successor Karen Bradley. "I have the feeling 'what is the point ?" 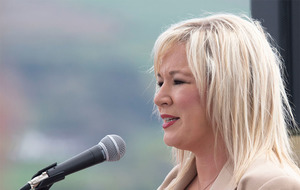 "The new Parades Commission is even worse than the last Commission which it replaced. All we get from them is a shrug of the shoulders. They are just sitting on their hands," Mr Hewitt added. A married man, with two grown-up children, Mr Hewitt also runs a dairy farm with his wife Irenee but until recently taught business studies and ICT for his 'day job'. Two years ago he attempted a new initiative, with an unnamed priest who had agreed to co-chair talks with the Garvaghy Road Residents Coalition but Hewitt says it came to naught because the Commission failed to encourage talks. The Commission, however, argues that among the wider community there is a perception the dispute has been 'resolved' or at least consigned to the past. But it also accepts this characterisation "belies the deep-seated feelings the Drumcree dispute still elicits in some quarters." The Commission further admits that even beyond the Orange and Garvaghy Road residents, the dispute "can still evoke strong reactions and associations with traumatic events of the Troubles." Therefore the Commission's ongoing conclusion, reiterated again in its decision this week, is that the dispute has "the latent power to stir up intercommunal tensions. "If it were to proceed along the notified route, there is a high potential for public disorder and a potentially significant disruption to community life." 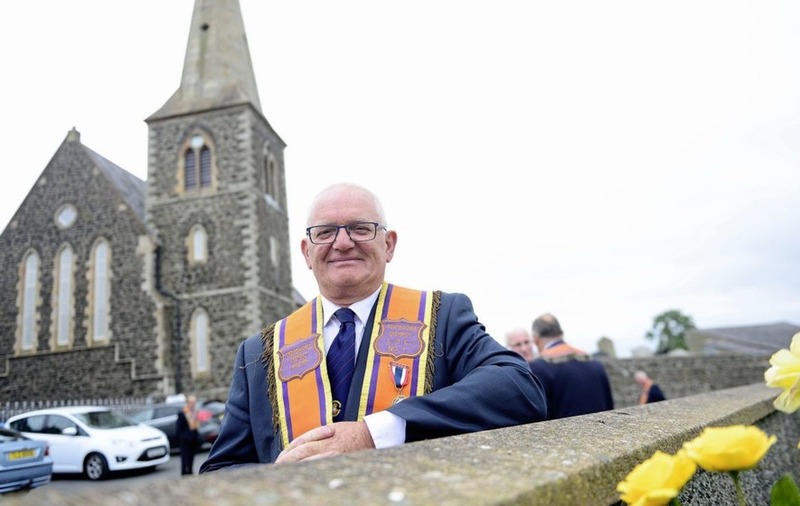 There was no immediate response from the Garvaghy Road Residents Coalition, which has said it wants to prioritise other issues including a junior orange parade and arch at the lower end of the road. A spokesperson for the Parades Commission added, however: "The Commission is aware of the weekly protest notification and issues determinations accordingly."